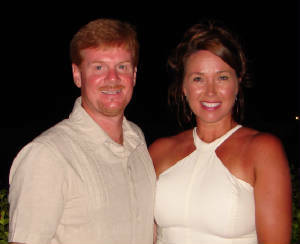 The McMurry Company, LLC is owned and operated by Joe McMurry Jr. and Shelia McMurry of Petal, MS. The LLC was formed to create a marketable site for the different entities which Joe McMurry Jr. currently has ownership and operational interest within. The variety of services and company functions has grown over the past 22 years to create different organizations with different goals. The number one priority for all of the entities listed is to provide the very best "Quality, Service, and Commitment" through each organization for the services which are provided. Joe and other family members have day to day input and oversight to insure only the best service you can find. See our "Services" page to get more details for each company or service! The McMurry Company - Site Works, Etc. We are dedicated to serving our customer's needs, and our goal is 100% customer satisfaction. We strive to bring you the best in quality service. We are there start to finish everytime!